To determine what was going on, Liberty Mutual looked at the digital body language of those who were opening their emails. Inbox placement should be top of mind for email marketers. Think about it. You could target the perfect audience segment with an engaging subject line, personalized copy, eye-catching graphics and a commanding call to action. But if no one sees the message, the effort was all for nothing. Deliverabilty and inbox placement are not the same thing, but they are related, notes Fitzpatrick, who spoke at LitmusLive recently in Boston. Marketers can score high on one, but low on the other. Inbox placement shows what percentage of emails actually reached not only recipients’ servers, but their inboxes. Return Path’s 2017 Deliverabilty Benchmark Report showed that 20 percent of all commercial emails never reach the recipient. Legitimate emails that might have been delivered few years ago now end up getting blocked or routed to spam folders. “The algorithms change frequently,” and we need to stay on top of them,” she says. With the help of agency Havas Helia, Liberty Mutual partners with leading automotive brands to send out promotional emails. 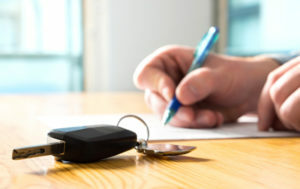 The insurer relies on partners to share customer files on a monthly basis—while some share their most engaged prospects, others simply forward every single record in their database, including people who last purchased a car 20 years ago. The company gets creative with data and list scrubbing to optimize success, but had started to notice a dip on open rates. It was tricky to figure out why–deliverability rates looked normal, subject lines were free of spam trigger words or punctuation and messages included proper unsubscribe language for CAN-SPAM compliance. To determine what was going on, Liberty Mutual looked at the digital body language of those who were opening their emails, to discover what traits they had in common and create a model ranking email addresses’ likelihood to engage, notes Michael Kinstlinger, senior email campaign manager at Havas Helia. Variables analyzed included prior emails received, prior engagement, time since last engagement, domain, type of vehicle owned, gender, age and income. Using the model to determine likelihood to engage showed that the top 290,000 recipients opened acquisition campaigns at a 38 percent rate, showing a 55 percent lift. 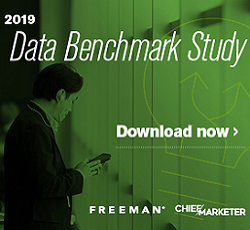 Having a better line of sight into data quality also helps Liberty Mutual be more strategic with its email deployments, and improve the rate of partner buy-in for future campaigns throughout the year. “The model helps us show our partners how the data they sent over performs,” says Fitzpatrick.